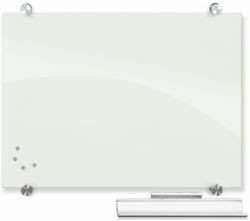 When you need a Dry Erase White Marker Board surface that will last as long as the life of a building, choose our porcelain on steel dry erase white marker board. This durable surface also offers more contrast for a measurable improvement in visual acuity. Reduced surface light distortion enhances visibility to provide optimum eye comfort. Pens write-on and erase with a dry cloth, tissue or eraser. 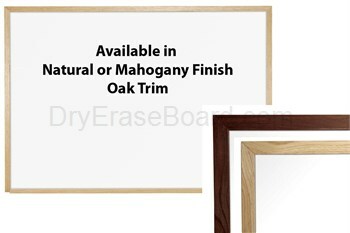 Surface is laminated to 1/2" thick MDF and is factory framed in anodized aluminum or solid wood trim. Includes L-clips, rawl plugs and screws for installation. 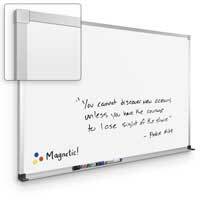 Dual use as a magnetic bulletin board and writing surface. Includes a full-length map rail and accessory tray with new, safer silicone rubber Dura-SafeTM corners. Smooth low-gloss surface offers greater color contrast for markers. 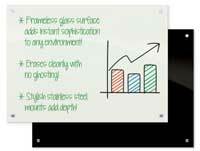 Dust-free surface erases easily without ghosting. Factory framed in anodized aluminum or solid wood. 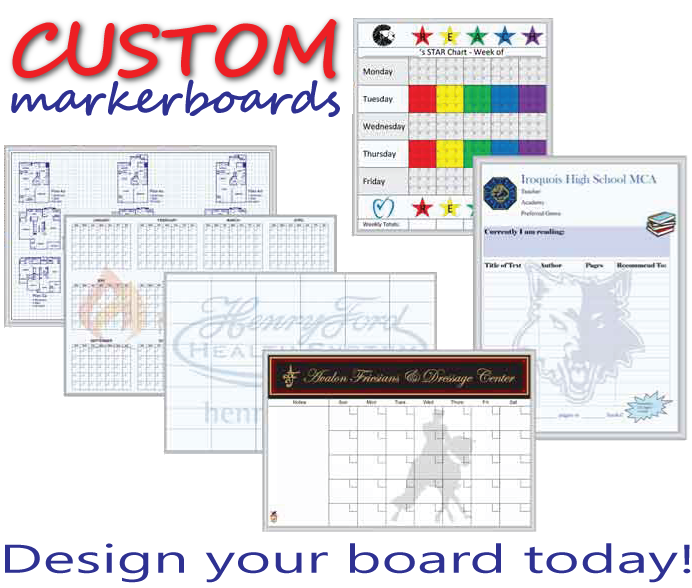 Also available as a resurfacing skin for any white marker board or chalk board. 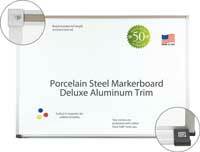 FULL 50 YEAR WARRANTY ON MARKER BOARD WRITING SURFACE. 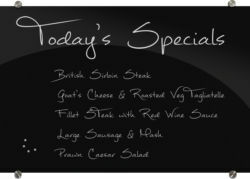 Good quality board. 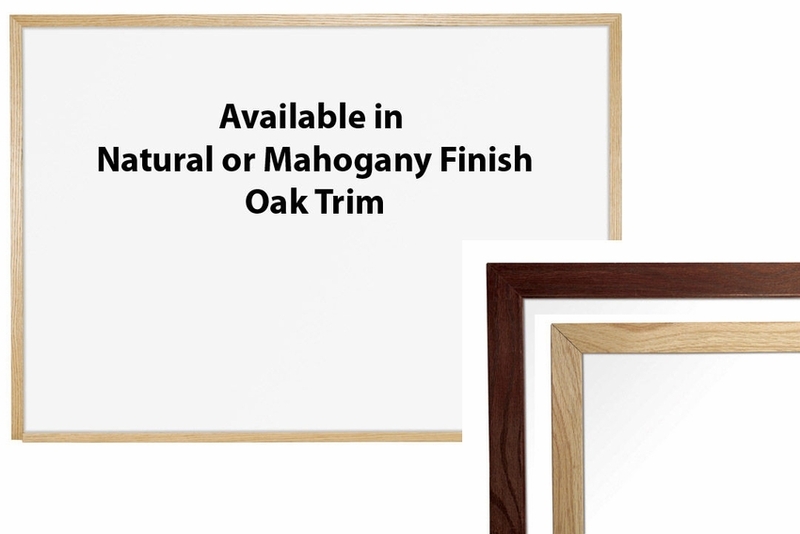 The wood trim is close to whats already in our office. Makes for a nice looking board. Would purchase again in future.